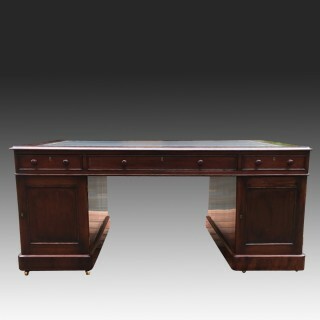 from the middle of the 19th century and is made from well figured timbers. 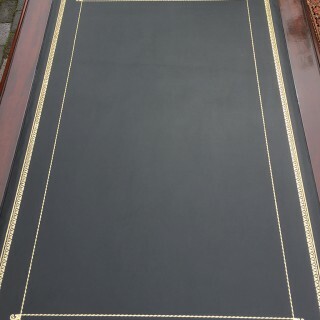 black hide writing surface with gilt and blind tooling. 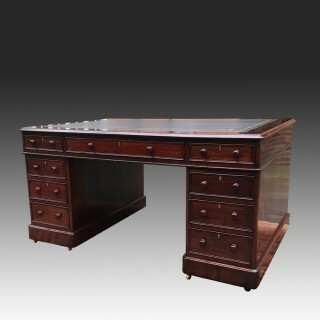 The writing surface is surrounded by a 4 inch band of mahogany with a thumb moulded edge and rounded corners. 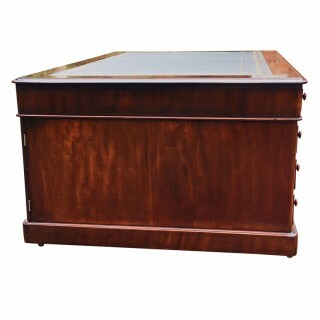 The top is fitted with 3 drawers to front and reverse. 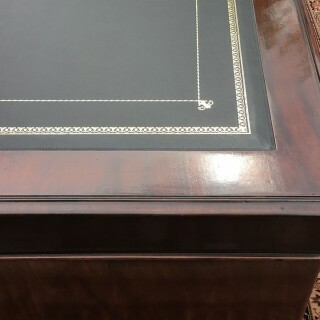 and stand on plinth bases with hidden castors. 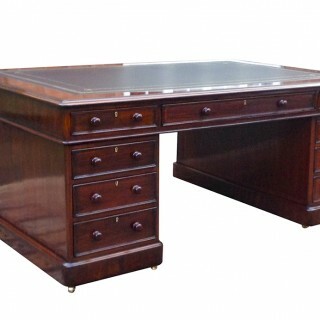 The desk can be set up with drawers and cupboards to both side as a traditional ‘Partners Desk’. 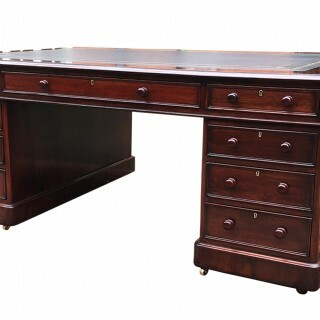 The drawer fronts have ogee moulding to the edge with boldly turned mahogany pull knob handles. 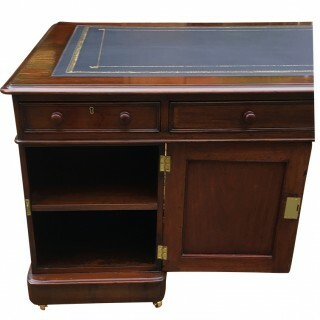 They have mahogany linings brass locks and are constructed with hand made dovetail joints. 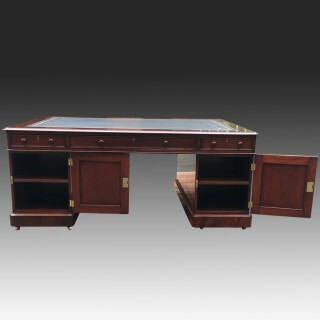 The desk is made in three sections, the top and two separate pedestals, for ease of transportation and installation. 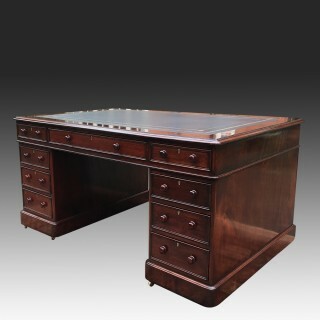 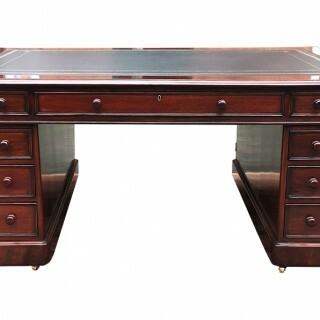 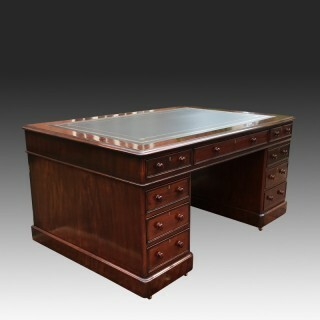 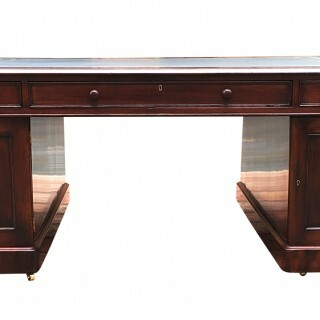 This is a good quality antique partners desk which would look very impressive in any library, study or office. 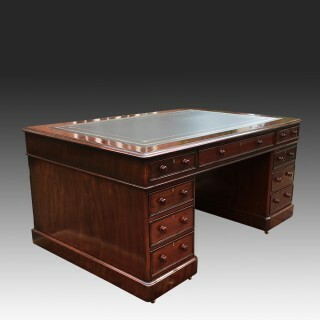 Excellent condition, cleaned french polished and with new writing leather.